Many people neglect dental health because they think brushing twice a day is enough to keep your teeth clean and free of decay or germs. If someone is experiencing excruciating pain, he or she consult a dentist and undergo treatment until the pain diminishes. It is important for people of every age to visit the dentist at least once in a year to avoid any type of oral issues in the future. However, if you wish to avoid a toothache, decay, cavities, or related problems, head to the dentist twice a year or more depending on your oral state. 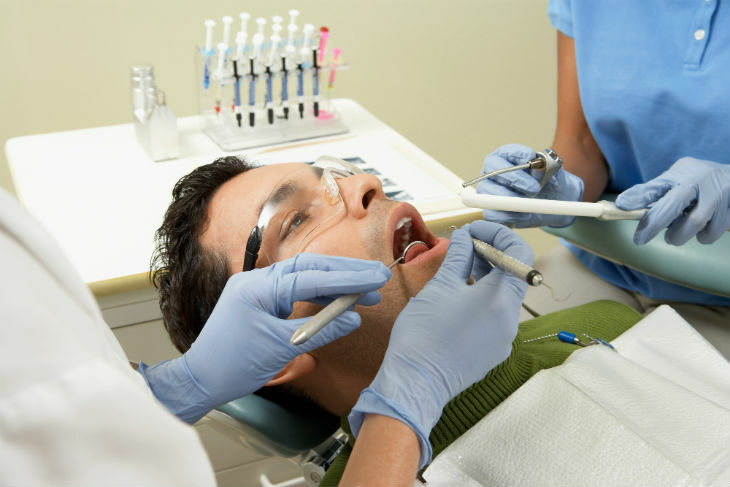 There are several dental myths you might know or heard of from your friends or co-workers. You may heard several twisted things about brushing or flossing which is not always true, especially if you get to know it from a person who haven’t been to a dentist ever. If you are avoiding visiting a dentist out of fear or hesitation, you will not determine the root cause of a toothache or oral problems. Here are the top 7 myths encompassing dental health everyone should know about. This is one of the most widespread myths which may lead to several oral problems for children when they reach the teenage phase. It is completely false when someone tells you children who have baby teeth might not dental checkups. Don’t believe such things and take your child to an expert dentist if he or she is aged between three and seven years old. The structural damage might not remain constant as your child grows up because the baby teeth will be replaced when he or she becomes a teenager. If tooth decay ruins the gums or the roots, it might not be replaceable and need dental treatment. The best way to mitigate any kind of oral issues is to take him or her to the dentist as soon as he or she develops baby teeth. Brushing vigorously may cause some damage to your gums, teeth, or tissues. The gum bleeding doesn’t start unless you have a serious underlying dental problem. You might have a tooth infection if you experience excessive bleeding while brushing or flossing. You should always rush to the dentist if you notice bleeding in your gums, especially when you brush or floss every day. Make sure you observe blood on your teeth or sink which might be the potential sign of gingivitis, especially those who are taking care of elderly at home. Avoid brushing too hard next time if this is the cause of gum bleeding. Some people brush robustly once to avoid brushing their teeth twice in the day. It may be true every toothpaste brand contains the same number of elements in it. However, if you have some sort of oral disease or allergic to any toothpaste brand, ask the dentist to suggest a brand better suited for your teeth. The dentist can easily recommend toothpaste which will not cause any allergic reaction or any kind of oral problem. Using a certain type of toothpaste can trigger irritation in the mouth or other dental issues. Mucosal sloughing may occur in your mouth which peels off the inside of your skin due to extreme irritation. You can try different toothpaste if the one you are using is causing gum bleeding or irritation. Consult a professional dentist if you experience any kind of toothache or skin irritation every day. Many dental hospitals have run massive campaigns to aware people of gum bleeding or other dental issues with the help of the government. Even if thousands of people experience gum bleeding you should not ignore the state of your dental health. Gum bleeding or irritation can be a major warning of tooth infection or tooth loss in the future. Always consult a dentist instead of wasting time with home treatment if you experience bleeding which is not common. If you have gingivitis or other related oral problem, the dentist can fix it or recommend some helpful tips. Toothache may not be caused by gum bleeding only, however, ensure your dental health is great even if you don’t experience any kind of oral issue. Dental health of male and female may differ when it comes to regular brushing, flossing, dental checkups, or daily lifestyle. Female teeth might be under a lot of strain rather than their counterparts. The reason it is important for females to take care of their dental needs regularly. The difference in hormones can play a huge factor which can be the driving factor of feet growth or body smell in women. This hormone difference may also affect the dental health of women. Some females may develop mouth infection or gingivitis during their menstruation phase. Taking care of regular dental needs can be enough for females to keep a good oral health. Fruits are important for everyone who wishes to stay healthy and strong. However, fruits can increase the calorie intake of the day regardless of their vitamin content. It is better to consume fruit juices in small amount to avoid plaque damage, mouth infection, or cavities. The sugar content in the food you consume every day can be the reason for mouth cavities or infection. According to several studies, craving sugary foods or beverages can trigger oral problems such as tooth decay or cavities. Avoid midnight snacks or grazing unhealthy foods rich in sugar of fats which can be the cause of several oral problems. Many people believe teeth whitening or bleaching can be extremely harmful for oral health; however there is no solid evidence behind this idea. This common misunderstanding might arise from the fact teeth whitening or bleaching trigger sensitivity or oral problems. Using a particular oral product may cause some kind of food sensitivity or oral problems. Avoid consuming any kind of hot or cold foods and beverages if your teeth are sensitive to it. Consult a dentist if you are experiencing sensitivity for more than two hours. Author Bio: Marina Torres works as a full-time content writer and loves to write about how to make life and our surroundings better for emitting a positive vibe from ourselves. She is currently working at Home Care Assistance of Huntsville where she is pursuing her career at its best.